Goodfellas wasn’t really what I expected, but then when I thought about it I realized I didn’t really know anything about the plot beforehand except that it was about the mob. I didn’t even realize what time period it took place in. So I guess I didn’t really know what to expect. I really liked seeing Ray Liotta as the main character, especially because I had assumed Robert de Niro would be the main character. Goodfellas reminded me how great he can be. 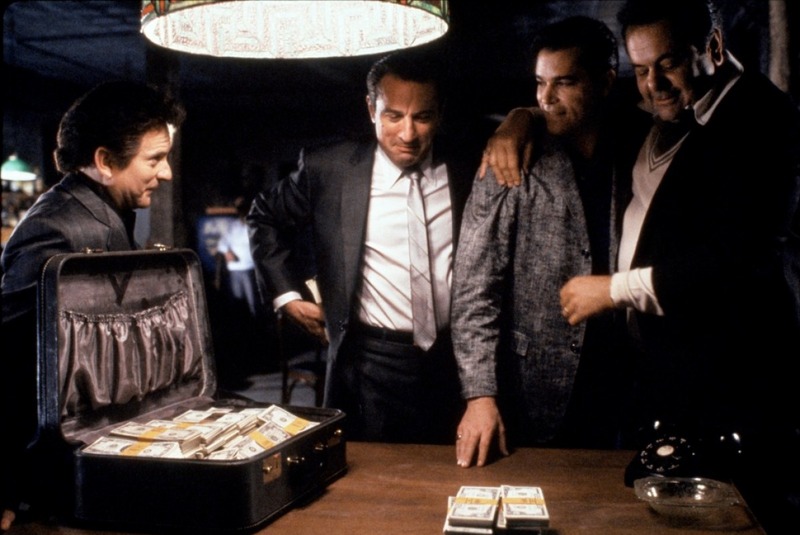 Despite that, I had the same issues with Goodfellas that I tend to have with most mob type movies: the men are brutish and unlikeable, the women are passive afterthoughts, and the plot is convoluted among so many characters and crimes. This doesn’t mean I didn’t enjoy it or think Goodfellas is bad in any way, it just didn’t blow me away or stand out all too much. Maybe it’s a guy thing? This is easily my second/third favorite gangster movie. The Godfather and The Godfather Part II being the other two. So this blog is all of the movies Elizabeth and I watch together so there are many that we see that never make it to the blog because we watch stuff separately but I just wanted to put a few words toward the movies House and House II, both on Netflix currently. So these two movies are in the horror category. But without any research I would put money on the fact that the writer and/or director worked on some kind of family sitcom, probably The Golden Girls. These movies are kind of not scary. There really isn’t any guts or blood, there are a few jumpy parts but they all consist of cheesy special effects. And Bill Maher is in the second one? These movies are a huge embarrassment for the genre but I kind of feel like there must be an interesting story behind them, especially the second one. I think this is the first movie I would recommend that you do not waste your time! In the end they are both just boring. I think the only reason I was able to sit through them was due to beer and drawing.